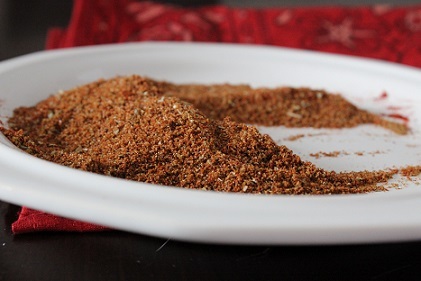 This Mexican Seasoning Mix adds authentic flavor to Mexican dishes. This Mexican seasoning mix adds authentic flavor to Mexican dishes. This recipe can be used for enchiladas, tacos, ground beef, burgers, chicken, eggs, potatoes and more! "Taco seasoning," or even "chili powder" are not often used in “authentic” Mexican dishes. And "authentic-style Mexican" actually varies from region to region in Mexico. We have “Americanized” the seasoning used in tacos, enchiladas, burritos, etc. The usual combinations for an "authentic" Mexican seasoning, including this recipe, are pretty similar, though. This seasoning recipe provides a very close flavor to an “original” Mexican recipe. You can use it on chicken and pork as well as beef. It will be delicious. That's it. All done! Awesome! Now ...a "two-fer." Another recipe for you to try. Enjoy your seasoning, the meals you prepare with it and the company of those you share them with. Did you know? Mexicans eat less red meat than Americans. There are some delicious beef dishes available, but pork (which is a red meat, by-the-way) and chicken are more commonly eaten. Also: Ancho Powder is ground ancho (pablano) peppers. In other words, it is a chili powder. Ancho Chili is a dark Smokey chili with a deep rich flavor and mild to medium heat. This pepper is the often used in more “authentic” Mexican cooking and is a staple in red chili and tamales.